Located in Susukino, BlueWave Inn Sapporo is a perfect starting point from which to explore Sapporo. Offering a variety of facilities and services, the hotel provides all you need for a good night's sleep. Elevator, laundry service, meeting facilities, smoking area, restaurant are just some of the facilities on offer. Each guestroom is elegantly furnished and equipped with handy amenities. The hotel offers various recreational opportunities. 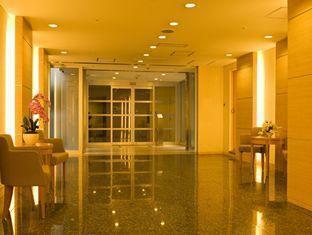 BlueWave Inn Sapporo combines warm hospitality with a lovely ambiance to make your stay in Sapporo unforgettable.